Coming to RightNow Media May 3, 2019. In a world where everyone is attempting to define manhood, why not look to God who designed men. God's definition of real manhood is found in the ultimate man - Jesus Christ. Gather with other men for a new study entitled Attributes For Men. Ten sessions on nine attributes that will empower you to become the man God wants you to be. Every Christian man at some point asks themselves this question, "Why do I keep repeating the same sin, and yet I try new tactics with limited results?" 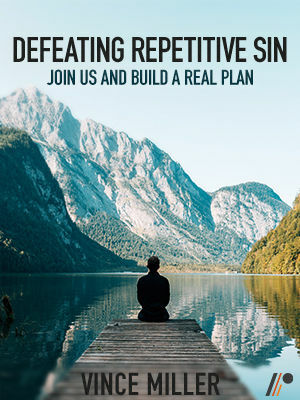 Stop the insanity and join with other men for a new study entitled the Defeating Repetitive Sin for Men. A five-lesson study that will help you tackle that destructive sin and build a battle plan for increased spiritual results.